Just absolutely amazing!!! 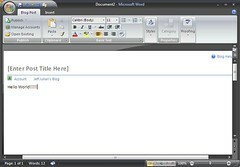 John and I loaded our TabletPC with Vista and Office 2007 Beta 2 without VPC and I must say, I really like what I see. Most Tablets, including ours, don’t have the video needed for Aero, but the user experience is still much better than XP. Anyone else using Vista and Office with a dedicated daily notebook or tablet? 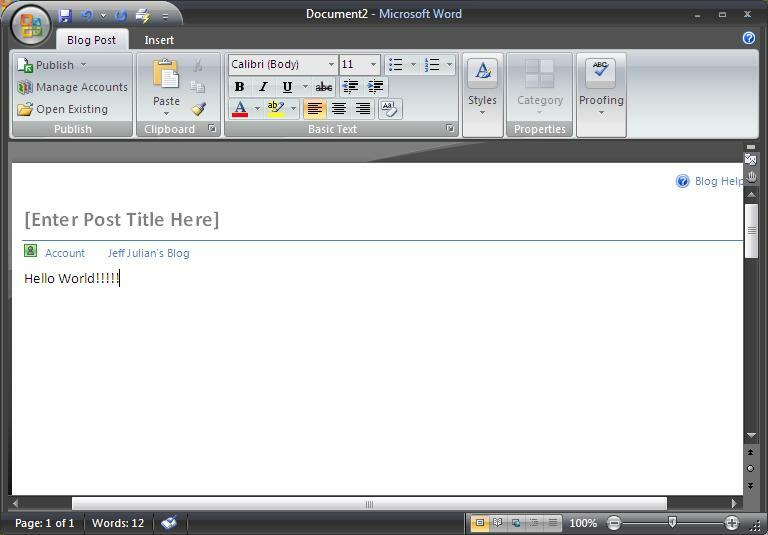 To blog inside Word using .Text, you need to update the XmlRpc assembly used. For those of you who attended Tim's presentation on AJAX this month, this book is going to be good for you. I have always been a fan of Wrox books, and these authors are great. Father and Daughter join the contest with "The Bloodletting"
Yeeeehaaaaaaaaa(thanks Howard Dean)..... GeeksWithBlogs has reached the 1,000 blogger mark! This is great news. I know most of these guys have stop posting regularly, but to know that we have over 15,000 post here is amazing. For you members, thanks for being part of this community and I can't wait til we can announce 2,000 bloggers. Why do we have to use Express if we already have VS 2005 in the contest? Exclusive GeeksWithBlogs Member Game Design Contest --Winner to get XBOX 360! I love the insight Dilbert has into our world and today is a perfect example. TechEd 2006 - Boston is sold out! I love it when these shows sell out! You know at this point there are a lot of interested attendees and there won't be a shortage of conversations. If you were planning to attend, but haven't registered yet, there is a WAITLIST for you to hurry and get your name on. TechEdBloggers.net is not just for attendees!